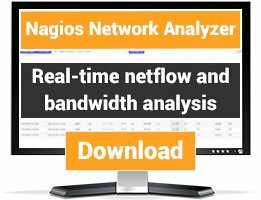 Plugin to check linux system performance (cpu, mem, load, disk usage, disk io, network usage, open files and processes). Thanks to Jonny Schulz, the author of Sys::Statistics::Linux, for his great work (http://search.cpan.org/~bloonix/) ! I have made some changes to this plugin at https://github.com/apsivam/monitoring_plugins/blob/master/check_linux_stats.pl. How can I submit PR? *) added an option to exclude file systems types for disk usage check so that we can exclude file systems like tmpfs, devtmpfs, etc. Great plugin, need help installing it. 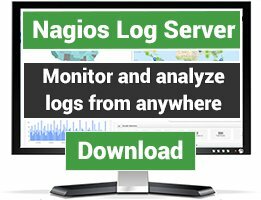 I am fairly new to linux and nagios. But is there a tutorial/Link to import and run a plugin? Congratulations for the plugin. I like a lot, but it seems to have problems to execute NRPE, as when I run this plugin with NRPE it is unable to read the output. I have seen that other people have the same error. Could you help us to execute this plugin in remote? I have configured it, but it doen't work. The plugins is great.. working with everything really fine but while i am using the unit variable with MB for Network Usages then its showing the default KB value. I really like this plugin and have written an extension which I'd like to send to you. I get a "550 5.2.1 This mailbox has been blocked due to inactivity" error message. How can the owner be reached? Hi!,This plugin is great i can do a lot of things with only one command,thanks to the developer. Whats is the problem here? Check CPU is presenting problem, does anyone know what they have to modify the script? "if" should be "elsif" otherwise the -C (check_cpu) option will always show help. I fixed this ugly bug.. I've found a little bug using hte CPU count. Could be possible to solve? i was not able to find it on the check_cpu section, it looks ok to me (but i'm not a programmer). check_cpu should be followed by a elsif. Nice plugin. I added a check to paging statistics to check for major faults. diff follows. This plugin is indeed superb. I found a bug that when using unit=MB for disk usage, the perf data writtens only KB. Addition $tmptotal in perf data will set the max MB in the graph. - Sys:Statistics relies on YAML:Syck, but the plugin doesn't complain if that fails. - the plugin itself does not mention that the -I option needs 2 -w and -c variables. and I have a small request as well; on virtual machines using lvm you often have a lot of 'disks' attached but most of them are loopback and virtual devices, if you add an option no-fake-disks-for-me-no-sirree (or a shortcut for that), you could loop through the devices in /sys/block/ and use readlink to remove the virtual devices from the list. This saves a lot of output when you don't want to use -p.
First of all, I want to congratulate you on your excellent work with this plugin! 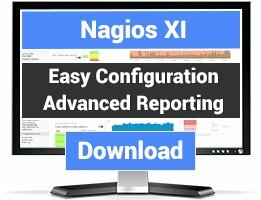 How the plugin estimate these values on the Nagios web interface? Thanks for the great plugin. If NFS mounts on the system are unresponsive then an unrelated disk check using this plugin times out. I have issue with this scripts for memory use in percent. I did not checked about other matter but memory usages showing in very less, but other commands for memroy showing accurate value. as below output. perl script showing 47.27% but sar and nmon and top is showing 98 or 99 percent usage. Kindly help me for this to get accurate output. It's not an issue, but the plugin gets the cache out of the used memory and shows the *real* physical memory usage.